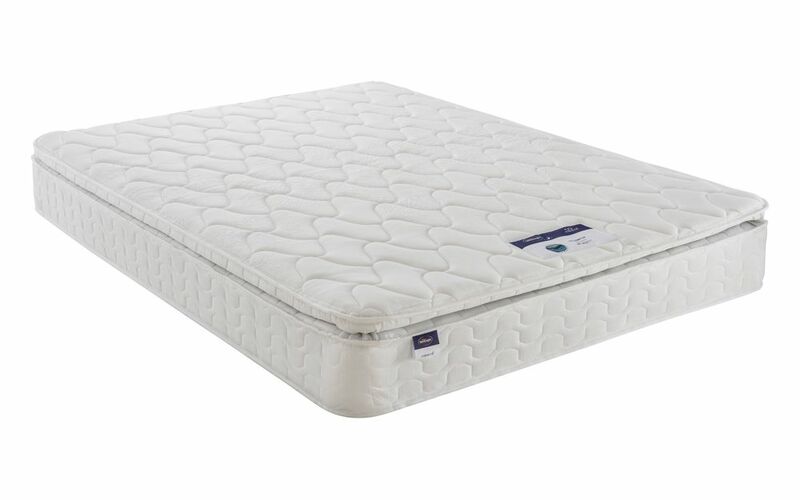 The Silentnight Miracoil Pillow Top Mattress is a highly supportive, medium to firm mattress. Using Silentnight’s innovative Miracoil technology, the spring core provides excellent, body-wide support and is zoned to target key pressure points. The comfortable pillow top is filled with breathable, hypoallergenic Eco Comfort fibres for added comfort. This mattress is handmade in the UK and has a 5 year guarantee for your peace of mind. Comes with Free Next Day Delivery!